Allen Sayigh is the dispensary manager for the Bastyr Center for Natural Health Chinese and Ayurvedic Herbal Medicine Dispensary. His responsibilities include formulating herbal remedies for patients and overseeing the dispensary's operations. He also has an acupuncture and Oriental medicine private practice in Seattle. Mr. Sayigh's long-time interests include Eastern spirituality and philosophy, martial arts and qigong. 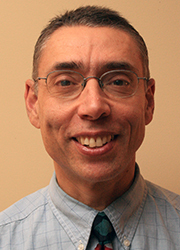 Mr. Sayigh has a master's in acupuncture and Oriental medicine from the Seattle Institute of Oriental Medicine.